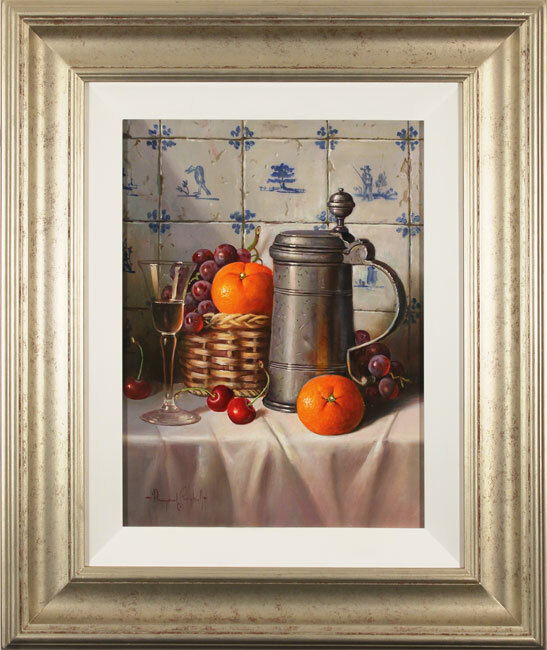 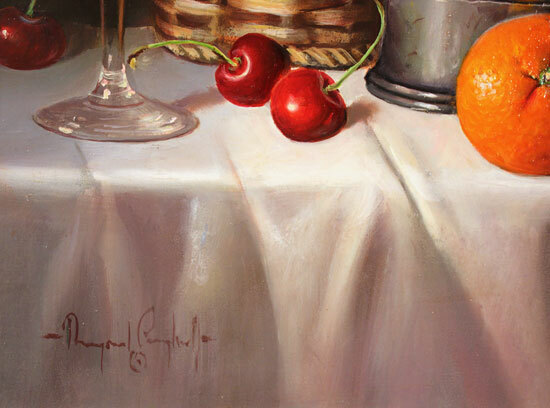 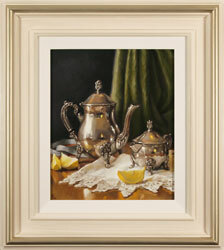 Raymond Campbell evokes a classical and luxuriant still life in Pewter Tankard. 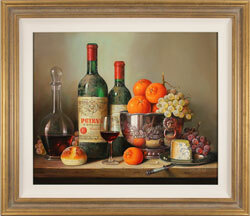 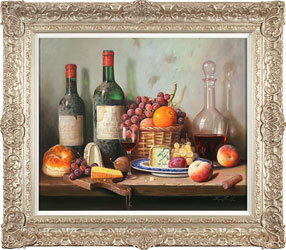 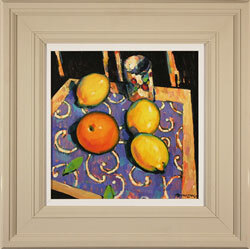 The piece is brim-full of glistening grapes, dark ripened cherries and glossy satsumas. 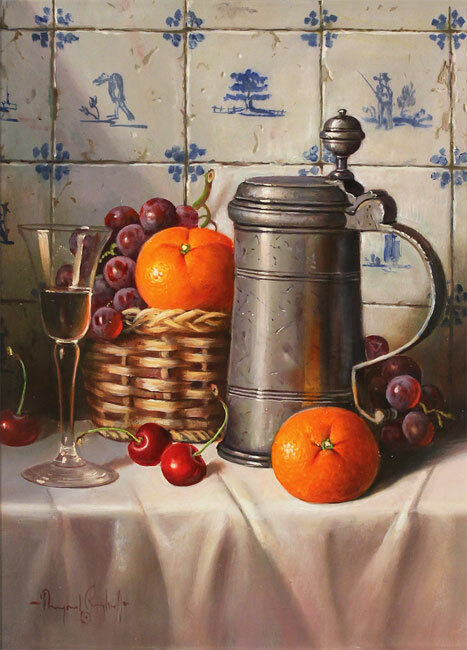 From the Delft tiles, to the rustic beauty of the tankard itself, the influence of the Dutch masters resounds throughout Campbell’s painting, making for an elegant addition to any collection.